Trouble struck early Thanksgiving morning at Halle Berry’s home. 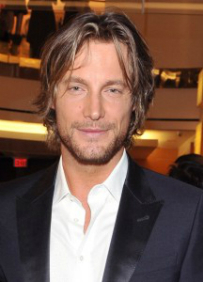 Her ex-boyfriend and father of her daughter Nahla, Gabriel Aubry, was arrested after fighting with the actress’ current fiancé Olivier Martinez. From a verbal altercation the fight got physical between the two. Berry had to take Nahla into the house to prevent her from witnessing the incident. Aubry was reported to have suffered a broken rib and facial contusions after the fight was broken up. Martinez had injured his hand as well. Police soon arrived at the residence and broke up the fight. Martinez had already subdued Aubry by then and held him in citizen’s arrest. Both Martinez and Aubry were brought to the Cedars Sinai Medical Center to receive treatment for the injuries that they incurred. Aubry was released fro the hospital and taken to the Los Angeles jail. His bail has been set to $20,000. A judge had also issued an emergency protective order preventing Aubry from being within 100 yards from Berry, Martinez and daughter Nahla. This order is set to end on December 3. The incident came as a shocker since Aubry was seen taking Nahla out for a movie the day before. Earlier this month, the court ruled against Berry taking Nahla to France where she and Martinez planned to settle. The judge had said that this could strain the father-daughter relationship. Aubry and Berry broke up in 2010.